How Will Climate Change Facilitate Plant Invasion? Scientists are assembling data to predict how climate change will drive plant invasions. With climate change in motion, plant species could migrate to regions that are changing to accommodate new species. Non-native (introduced) species are considered invasive when proof of harm to the ecosystem is observed. Climate change-driven shifts in abiotic factors–non-living features of the environment–could affect the spread of invasive plants. Sunlight, humidity, and rainfall are all subject to change as the climate shifts. Such changes could facilitate the migration of plants to new areas where they could become invasive. The general wisdom is that with changing climate, especially warming climates, species will tend to move their distribution toward the North or South poles, away from the equator, and into higher elevations, into the mountains. Scientists are using massive data collections to predict what new regions plant species are likely to colonize as the climate changes. They are also identifying which of these geographic areas are vulnerable to threats from introduced plants species. These collections of data could inform conservation efforts. The Invasive Species Specialist Group of the International Union for the Conservation of Nature Species Survival Commission cultivates a Global Invasive Species Database also listing 100 of the World’s Worst Invasive Alien Species. Listed herein are a number of plant species notorious for becoming invasive. Islands are especially vulnerable to invasive species. Native species on islands are specially adapted within their enclosed ecosystems. The introduction of a new species can result in rapid and dramatic changes that the native species are unequipped to adapt to. When an invasive species enters the mix, safeguarding biodiversity is critical. Plant invasion poses a serious threat to island forests because of its potential to reduce biodiversity and accelerate the extinction of native species. With the huge assemblage of data, scientists can begin to predict where plant species are likely to migrate as a result of climate change. All that remains to be known is whether such species could subsequently become invasive. If they do, intervention is likely necessary for the preservation of healthy native biodiversity. John has recently received scholarship to enroll with Prescott College to study Marine Conservation via the Kino Bay Center in the Gulf of California. A storytelling career started while living in Sweden, searching for surf in the Baltic Sea. His writing and photography have since evolved into contributions in support of sustainable material efforts within the surf industry, publishing work with Patagonia and developing content for many-alike. 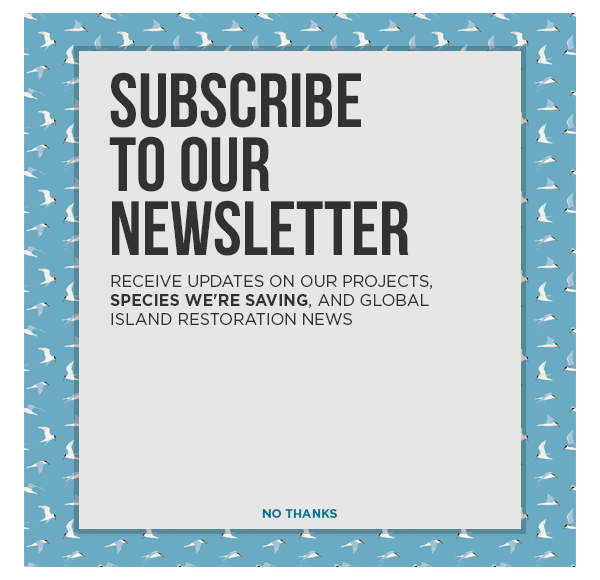 New to Island Conservation, John is thrilled to join the communications team and to share the stories about saving island species from extinction. When not writing, you can find John and his dog surfing and camping along the West Coast.